We like to think of dogs as “man’s best friend,” and the vast majority of canines are an abiding source of companionship, protection and satisfaction for millions of Americans. However, as a few notorious incidents have demonstrated over the years, some four-legged bad actors have managed to grab the spotlight and give dogs, particularly certain breeds, a reputation for dangerous aggressiveness in dog attacks. The circumstances where the latter, more hostile tendency comes into play were put on troubling display last month when a 10-year-old Martinez boy was seriously injured by two pit bulls that repeatedly bit him. A report in the Contra Costa Times has shed some new light on the case of Hunter Kilbourn, the injured boy, revealing that an Antioch city staff investigation showed that a second boy was bitten in the same attack in which Kilbourn was mauled. According to the report, a boy at the residence where Kilbourn was playing was bitten by the household dogs when he attempted to pull one of the dogs off Kilbourn. The city report went on to recommend that the two dogs be euthanized. Fortunately, Kilbourn has recovered from a majority of the physical injuries he suffered in the Aug. 11 dog attack, but as statistics show, dog bite incidents are a fairly common occurrence in the United States. According to the Centers for Disease Control and Prevention, every year 800,000 Americans seek medical attention for dog bites, with half of those dog bite victims being children. Of those who are injured in dog bites every year, 386,000 require emergency department treatment and about another 16 die. While one might consider pit bulls as the most likely suspects in dog bite attacks, it might surprise the public to know that studies have not shown the breed to be disproportionately dangerous. 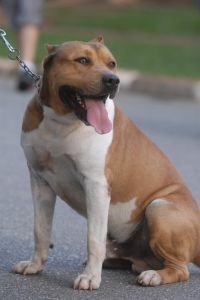 According to the American Veterinary Medical Association, controlled studies have found pit bulls to among several breeds, including German shepherds, Rottweilers, Chow Chows, Jack Russell Terriers, mixed breeds and others that are highly represented in biting incidents in the United States. However, pit bull-type dogs are more frequently associated with cases in which there has been a severe injury or fatality. But even here the AVMA issues a caveat, saying that the phenomenon may be due to such factors as the popularity of pit bulls in the victim’s community, reporting biases and the dog’s treatment by its owner – for example, cases where pit bulls are used as fighting dogs. Indeed, controlled studies also point out that the pit bull owner’s own behavior, i.e., criminal and/or violent acts, may be an underlying causal factor behind severe or fatal attacks on humans by pit bulls. And to place the point in a geographic perspective, it should be noted that fatalities due to dog attacks in some parts of Canada are linked mainly to sled dogs and Siberian Huskies, breeds that are much more prevalent in some regions of our neighbor to the north. At the Brod Law Firm, we wish Hunter Kilbourn continued progress on his road to recovery from the dog-mauling he suffered last month. Gregory J. Brod boasts extensive experience representing victims in dog bite cases, including one in which he successfully obtained a jury verdict in the amount of $400,000 on behalf of another child who was attacked by a dog in Contra Costa County. If you or a loved one has been injured in a dog attack please contact us at the Brod Law Firm for a free consultation.